Arif Munandar, a close partner of Publish What You Pay in Indonesia, held powerful corporations accountable through the use of technology. Arif Munandar practiced two kinds of activism: one loud, one quiet. There he was clutching a megaphone and a wad of documents, shouting down Southeast Asian environmental ministers gathered at a 2006 summit. There he was a year later, at COP13 in Bali, with the same stern expression and a fist jabbed in the air. Then there was Arif in the field, less stern and warmer, documenting the stories of indigenous people struggling to affirm their rights against powerful extractive companies. And there was Arif at home with his wife, Laili Khairnur, an activist herself, editing video footage late into the night. On July 7, Arif died of a heart complication at 32. He leaves Laili, three nephews, scores of colleagues and a legacy of ongoing programs, including with Publish What You Pay Indonesia, that continue to promote accountability in the westernmost region of Indonesian Borneo. “We have been devastated by the loss,” said Arif’s boss, Hermawansyah, director of the Swandiri Institute, a member of Publish What You Pay Indonesia based in West Kalimantan province. Most recently, Arif had been involved with a revolutionary project using aerial drones to map out indigenous land and to monitor the activities of mining companies. The project has quickly become a model for grassroots, data-based activism in the region, and the courts have validated their methods. West Kalimantan is rich in bauxite, the ore from which aluminum is derived. Mining for bauxite is a destructive process, requiring companies to clear all vegetation, upturn topsoil and separate the aluminum by “washing” ore with vast amounts of water. 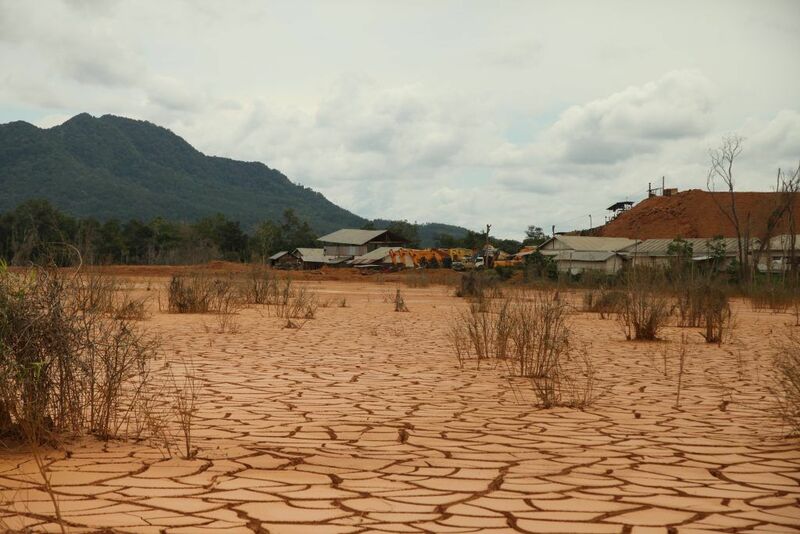 In 2011, bauxite mining came to a small, remote district called Tayan Hilir. At first, the local villagers believed they might benefit from development that would accompany the mining. But that’s not what happened. Electricity never came, and the companies hired few local workers. One lake vanished entirely from bauxite washing, and others began to grow algae. “The soil has turned yellow, dried and cracked. The fish are all dead, gone,” said Pius Tomi, a village leader. The fish they did manage to catch smelled of rubber. Tayan Hilir became the testbed for the drone project. One of the central challenges of protecting indigenous land and the environment in Indonesia is a shortage of good maps to delineate protected forests and to firmly dispute companies when their activities stray from permitted areas and encroach on other land. The idea to use drones came from one of Arif’s colleagues, Irendra Radjawali, who taught himself to cobble together fixed-wing aircraft by watching YouTube videos. Arif was a skilled data researcher and video editor. He had always been enthusiastic about the potential of technology to turn his field research into data that could inform policy change. “His knowledge of GIS [geographic information systems] was self-taught, but because of his strong interest in learning new things, he was quick to master it and become an expert,” Hermawansyah said. Their progress was swift. Communities were curious about the drones and eager to learn how to build and fly them. 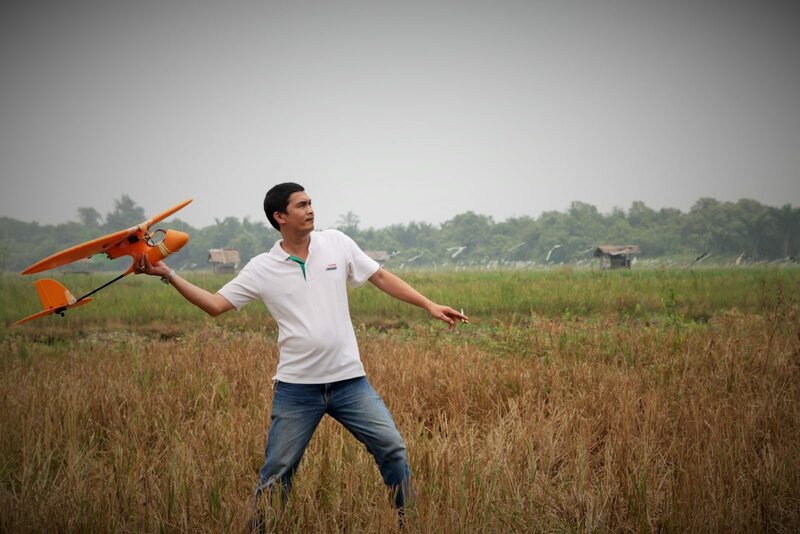 By July, Arif and Radjawali had taught thousands of villagers how to make and fly drones as part of their “drone school.” Today, more than 100 drones are in use. Their biggest victory was a successful 2014 case that went to the Constitutional Court. The drones had photographed a mining company operating outside the boundaries of its permit. The company challenged whether drone images were admissible as evidence in court. The judges ruled they were, found the company in violation and revoked its permit. Everyone was ecstatic. The ruling meant that “technology is not controlled exclusively by certain parties only but also can be used for the public interest and humanitarian missions,” said Hermawansyah. With Arif’s passing, the Indonesian activist community was thrown into mourning.